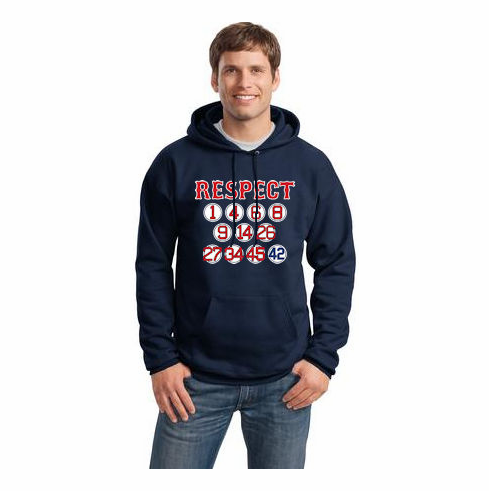 This baseball pullover hooded sweatshirt features the Red Sox Retired Numbers RESPECT graphics screened on the chest. 26 and 34 are included! Hanes 9.7-ounce, 90/10 cotton/poly low pill, high-stitch density fabric; 100% cotton face. Spandex in cuffs and waistband. Two-ply, jersey-lined hood with grommets and dyed-to-match navy drawcord. Choose the size Adult Small-4X.